Power Plant Operators course in Calgary - 1963. Larger image of the Power Plant Operators course in Calgary - 1963. 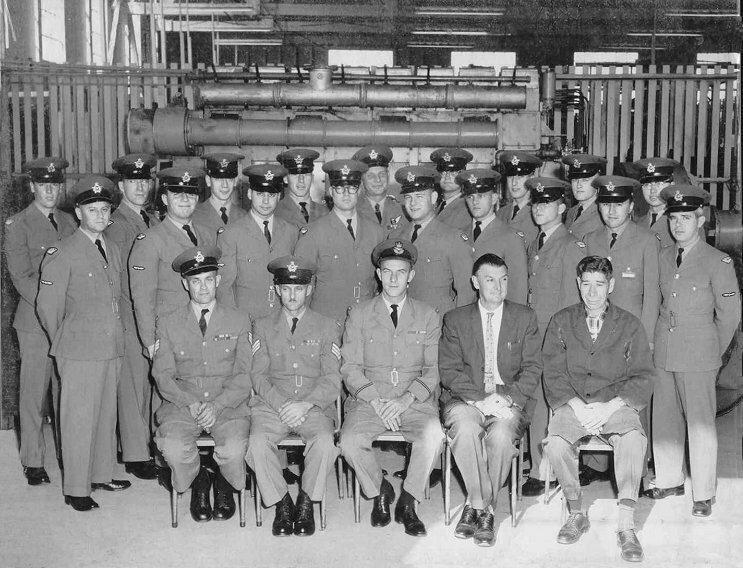 EWU Radar Evaluation Team - 1959-1961. Inset - Lou MacInness. 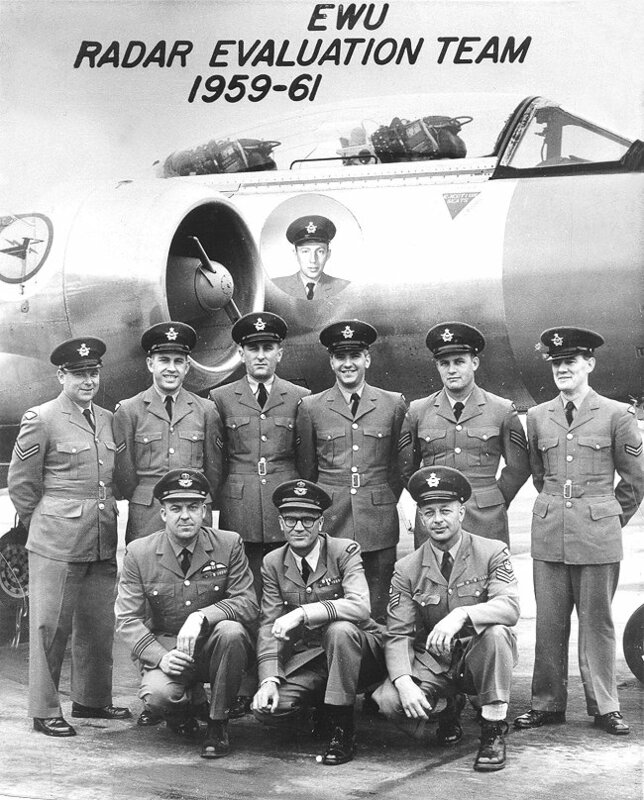 Back row (L-R) John Miller, Len Davis, Wally Maximetz (Radar Tech) Moe Chartrand (FCO), unknown, unknown. Front row (L-R) - Unknown F/L, unknown F/L, FS Al Jones. Certificate from the School of English - 9 October 1959. FCOs from Parent in St. Hubert on a Ground Defence course - 11 March 1955. Back row (L-R) Smasher, Kirk, McLeod, Fred Webber, Gil Arsenault, Cece, Fraser, Cunningham, John Roberts. Middle row (L-R) Peter Keith Murry, unknown, unknown, Don Valley, unknown, unknown, unknown, unknown, Garnet Shewan. 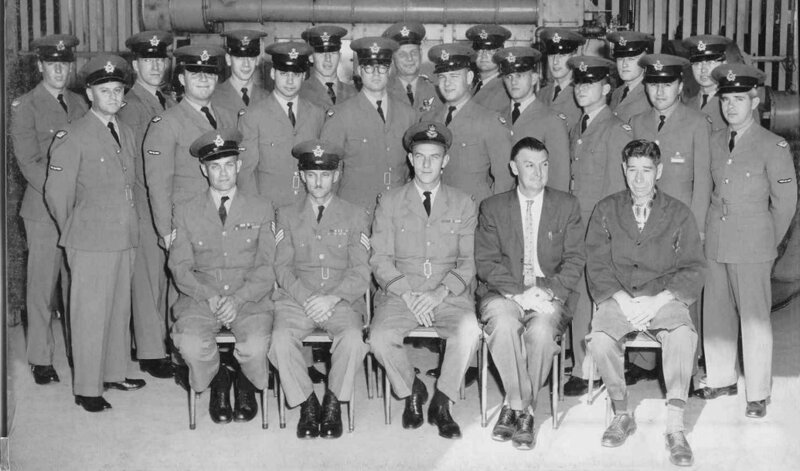 Front row (L-R) Bouchard, Cpl Findlay, unknown, unknown, unknown, unknown, unknown, unknown, unknown. 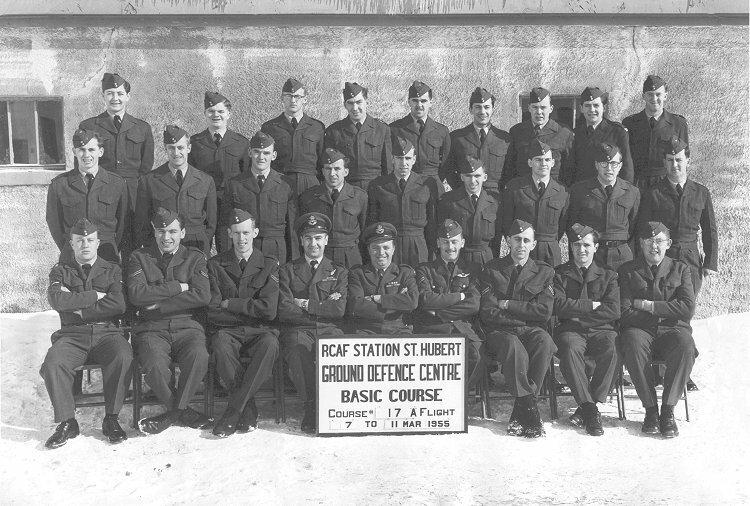 Larger image of the FCOs from Parent on the Ground Defence course - 11 March 1955. 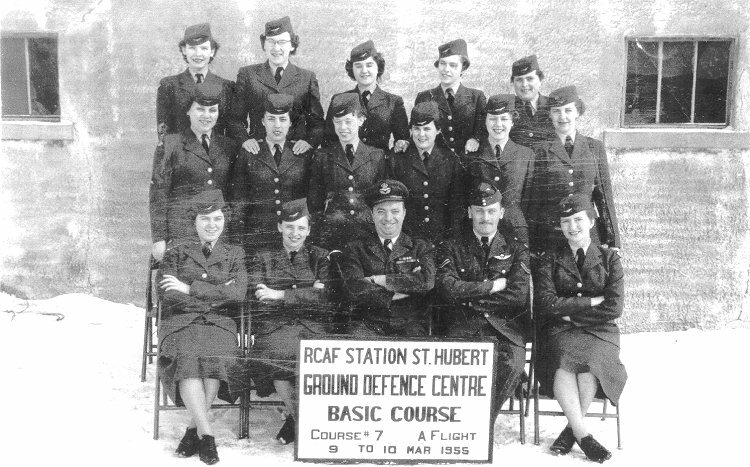 FCOs from Parent in St. Hubert on a Ground Defence course - 10 March 1955. Back row (L-R) Mike Blakely, Muriel Green, Mary Edwards, Evelyn Smith, Ann Fox. Middle row (L-R) - Mary Yanzk, Joan Fullerton, Pony White, Jeannie Ober. Front row (L-R) - Dora Krumrie (now Mahar), Molly Smith, F/O Unger, Cpl Parker, Lillian "Puddles" Kapetski. 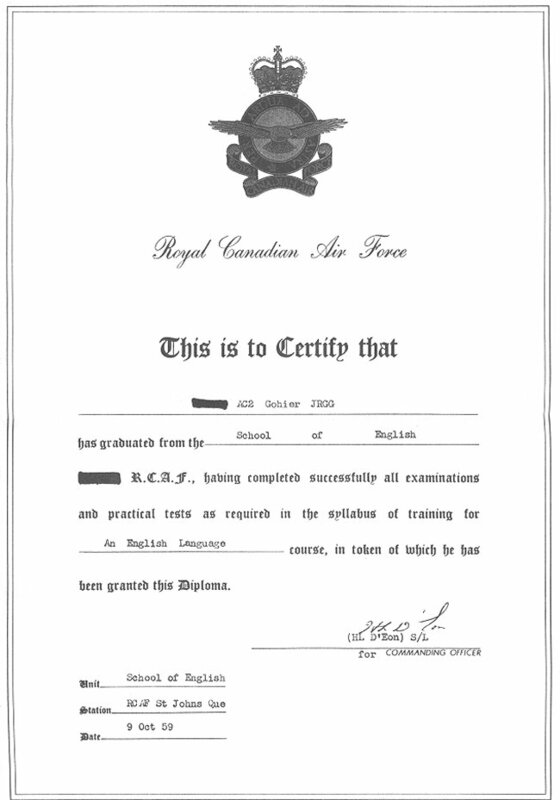 All of the girls were FCOs from RCAF Station Parent.